Christmas decorating season has officially begun here at the Zuri household! 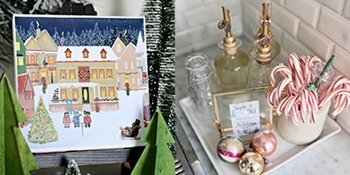 Glitter has been swept up several times already, but today I’m sharing a Christmas canvas prints project that’s completely glitter-free! Today I’m joining several other bloggers for a Christmas printable hop which means lots of Christmas craft ideas for you! 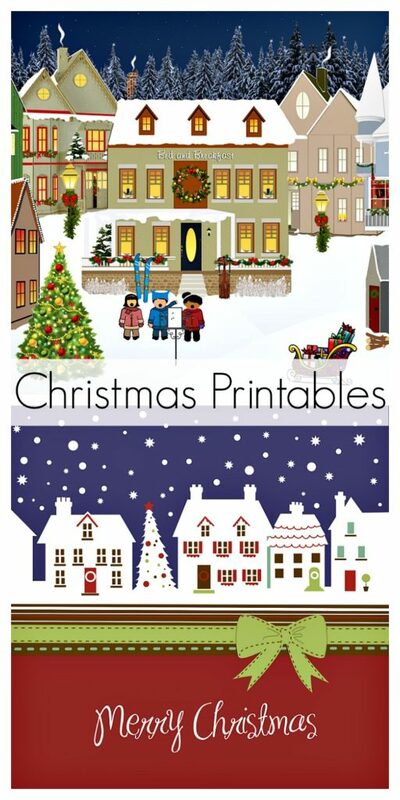 All printables are free! A special thanks to Kristen at Ella Claire for organizing today’s event. 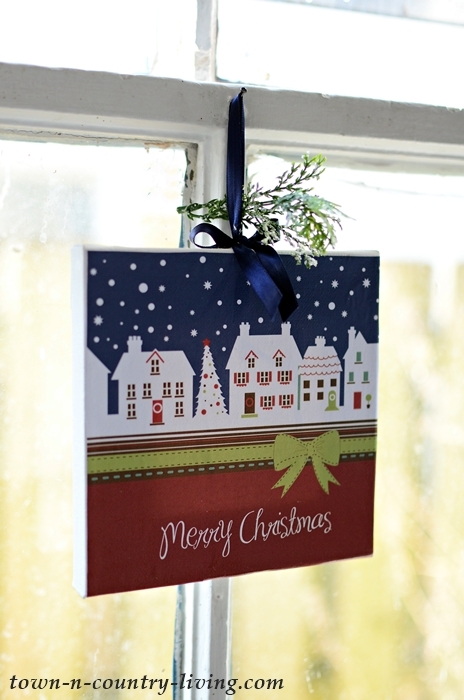 My Christmas Canvas Prints are easy to make! Simply print the free designs at the end of this post and cut them out. 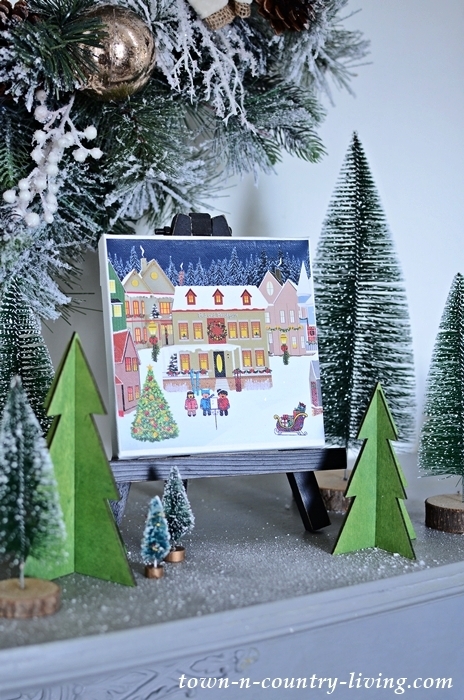 Using Mod Podge or a similar glue, apply the prints to a 6″ x 6″ artist canvas that you can find at a local craft store. Smooth the print onto the canvas and gently rub out any air bubbles. 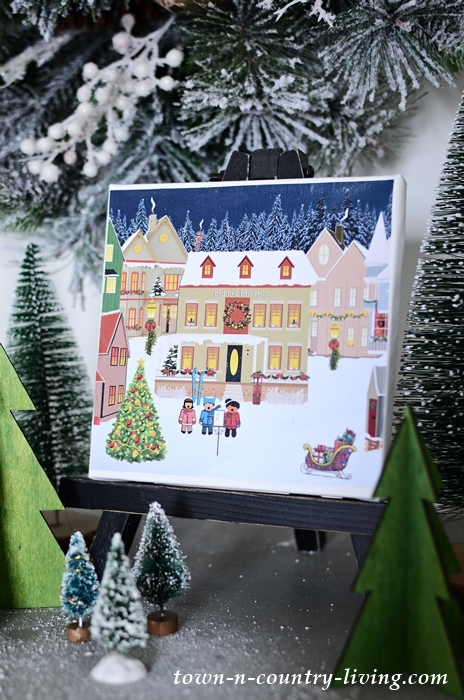 You can display the Christmas canvas prints in a variety of ways. I placed one on a small easel for the mantel. … or hang it in front of a wreath which serves as a frame, of sorts. Click on the image below to save the Christmas Carolers jpg file. Click here to download the 6″ x 6″ image in a pdf file. 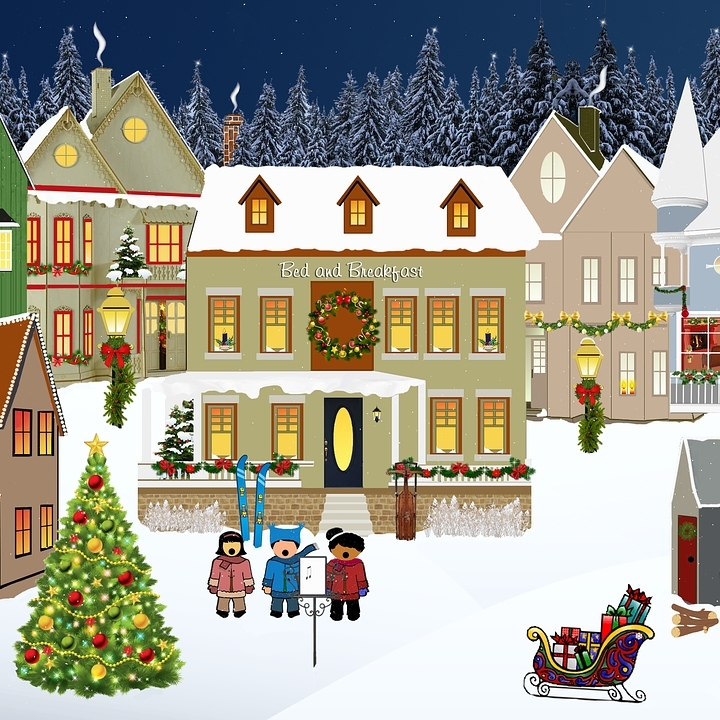 Click on the image below to save the Christmas Village jpg file. 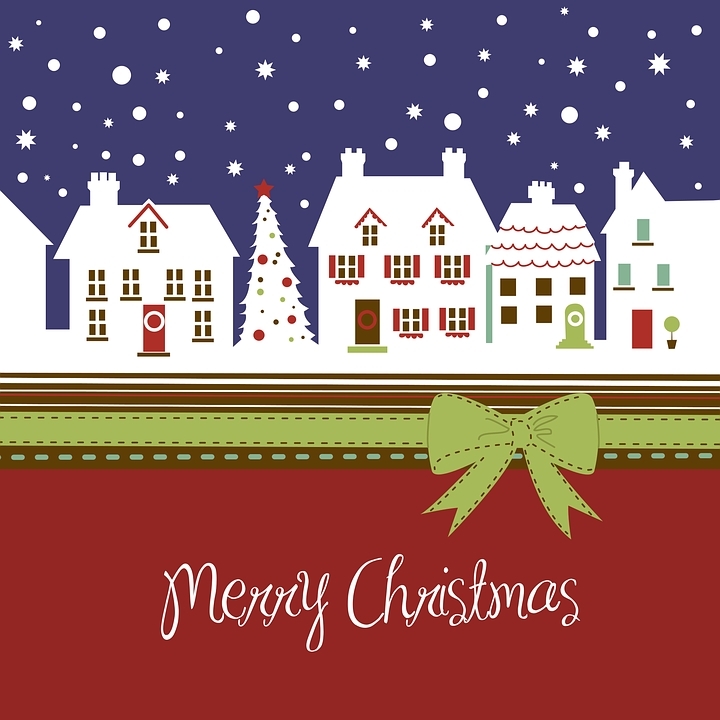 Click here to download the 6″ x 6″ image in a pdf file. 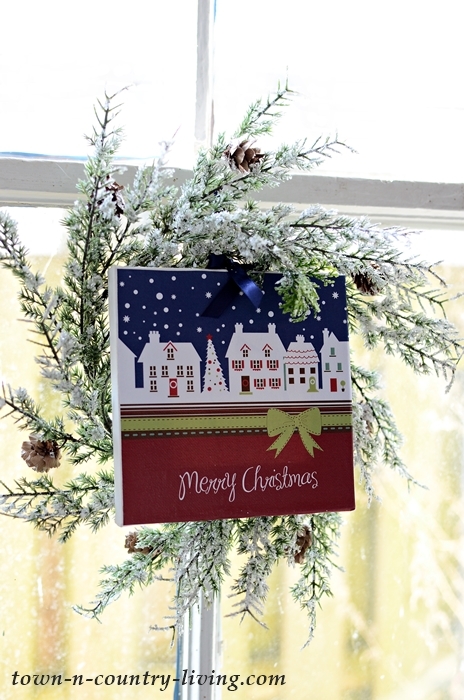 Visit the rest of the participating bloggers below for more Christmas crafting inspiration! These are the perfect size to use for Christmas and so nostalgic, love them, thanks. Thanks, Marlene! They were so easy to make – I’m all about quick and easy crafts. LOL. SO adorable!! I love them! These are absolutely gorgeous, thank you for sharing with us! These are so cute and thanks for showing a few different ways to use them. Certainly, love a quick craft.